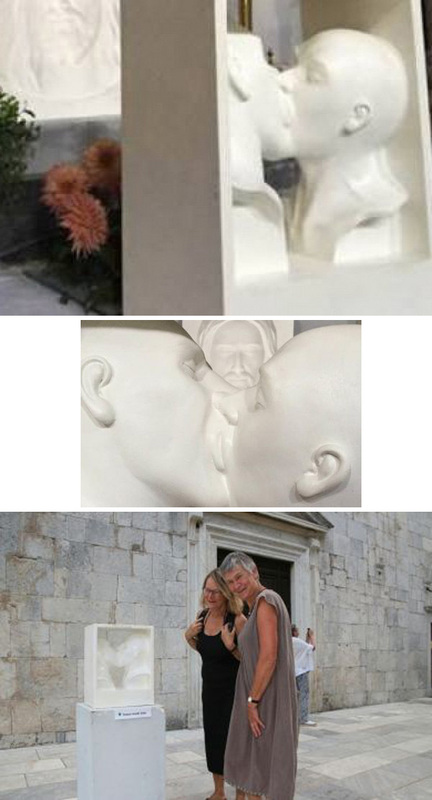 In mid-July, San Martino Church in Azzano in the city of Seravezza, Lucca, Italy, hosted an art exhibition. The company in charge of the show was Cibart, and his director Matteo Marchetti received from the parish priest Fr. Hermes Luppo full liberty to post in the church whatever art works he so desired. 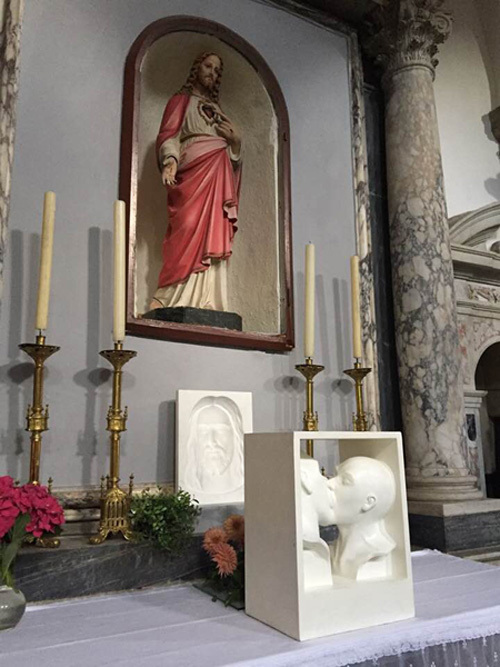 Marchetti placed a sculpture of two men kissing on a side altar dedicated to the Sacred Heart of Jesus, as shown above. The sculpture is called Polaroid and was made by Emmanuele Giannelli. After ten days, the protests of visitors became so intense and numerous that Marchetti was obliged to move the sculpture from the altar to a side terrace of the church, last row below. Sad to say, neither Fr. Luppo nor his parishioners complained about that blasphemy. To the contrary, Luppo declared: "For me the sculpture could have remained where it was. The Gospel shows us a path of welcoming and tolerance. By the way, no one complained about it to me."